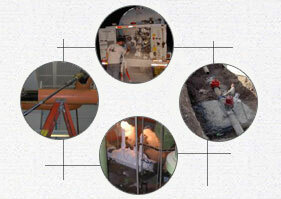 Pro Tapping specializes in working on live and pressurized pipelines without shutdown of your services or system. 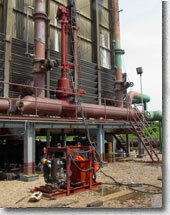 You can insert a new valve, make a new branch connection or modify your piping system with no system downtime. We perform these services while your system remains live and under working pressure — saving you time and money! Pro Tapping has the skill and knowledge you are looking for on pipelines containing brine, propane, natural gas, syltherm, H2S, steam, water, sewer, and many other pipe line contents. When faced with a no shutdown piping situation, let Pro Tapping’s three decades of commitment to excellence get your job done right. We have provided our knowledge and expertise to nuclear facilities, underground and mechanical contractors, municipalities, refineries, and steel mills throughout the United States. Are you ready to find out how Pro Tapping can help with your job? Give us a call today!